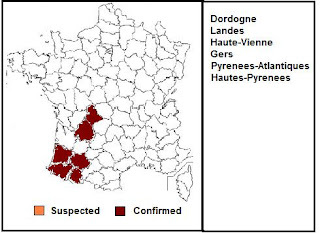 The French Ministry of Agriculture has updated their avian influenza page with word of one additional outbreak - this time in Gers - of HPAI H5. The exact subtype is being investigated. - On December 22, a highly pathogenic influenza outbreak was confirmed in Montaut in a booster workshop 415 geese. The viral strain is being determined. In total, to date, 62 of highly pathogenic avian influenza outbreaks in poultry were detected in 6 southwestern departments of France. Not included in these numbers are LPAI outbreaks (H5N2 & H5N3) which we last saw updated more than a week ago. 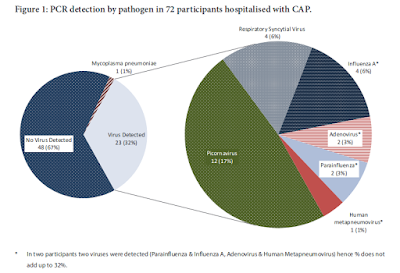 Somewhat remarkably, over the past 4 weeks France has reported at least 5 different types of avian influenza (HPAI H5N1, H5N2 and H5N9 along with LPAI H5N2 and H5N3). All five have been listed by the OIE as new strains, although we've yet to seen an detailed characterization of these viruses beyond their being of `European Lineage'. Given the extraordinary circumstances of seeing 5 new avian flu strains emerge in a single location over such a short period of time, the answers to these and other questions are eagerly awaited.